The best way to get to know a place is on foot—leisurely walking tours allow you to see things that you may not spot from a car or on a sightseeing bus. Many communities offer guided tours, where local experts share their knowledge and answer questions, or self-guided routes, with maps and printed information available either for free or at a small cost. Walking tours are available across BC, and most focus on a central theme, including local history and/or architecture, food, and art. Below are some highlights. BC’s largest city boasts the widest variety of tours, and the logical starting point is in Gastown, the birthplace of Vancouver. 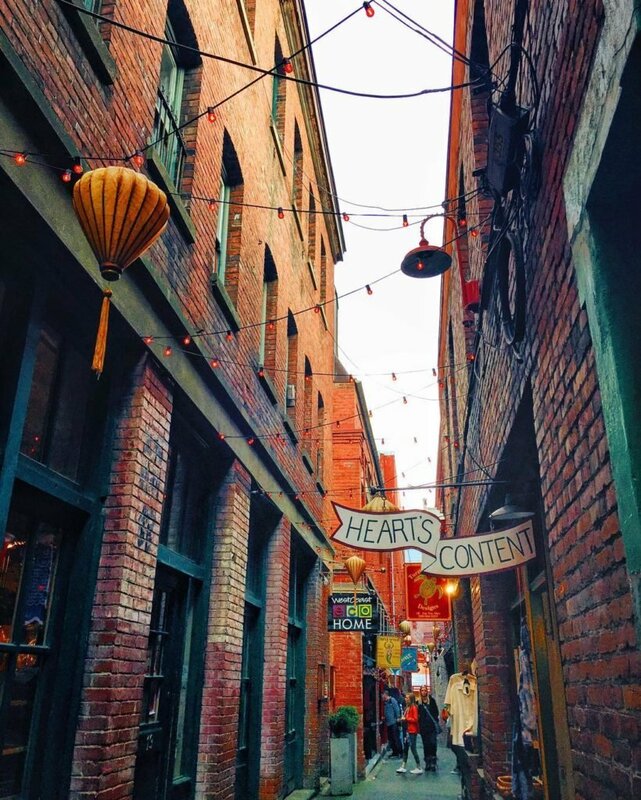 Take a self-guided stroll amid the neighbourhood’s heritage buildings, or book a guided tour with Forbidden Vancouver to learn about Gastown’s scandalous past. The Vancouver Heritage Foundation schedules informative guided walking tours in downtown Vancouver and beyond. Want to eat and drink your way through the city? Vancouver Foodie Tours offer several delicious options, including their popular World’s Best Food Truck Tour, which allows you to sample some of the city’s best street food on a two-hour walk, and their Granville Island Market Tour, an introduction to the bustling public market, complete with 20+ tastings. A Wok Around Chinatown highlights the culinary and cultural significance of Vancouver’s Chinatown, and the tour culminates in an exquisite dim sum lunch. For beer lovers, a walking tour with Vancouver Brewery Tours includes three breweries in the city’s Brewery Creek district, while the Craft Beer n’ Bites Tour of Gastown teaches the art of pairing food and beer. Vancouver is home to a multitude of public art installations, many of which can be admired along one of the city’s self-guided public art walking tours. Learn about the tremendous contribution of Vancouver’s Chinese community on a free Chinatown walking tour led by the Tour Guys. Or if the supernatural appeals, join Ghostly Vancouver Tours and explore some of the city’s most haunted locales. Other options include a neighbourhood tour complete with tips on capturing the perfect pics with Vancouver Photowalks. BC’s capital, founded in 1843, is the oldest city in Western Canada. It is home to some amazing, turn-of-the-century architecture—think castles—and there’s a strong British influence here. To learn more about Victoria’s history, consider one of four themed, self-guided tours put together by the City of Victoria. 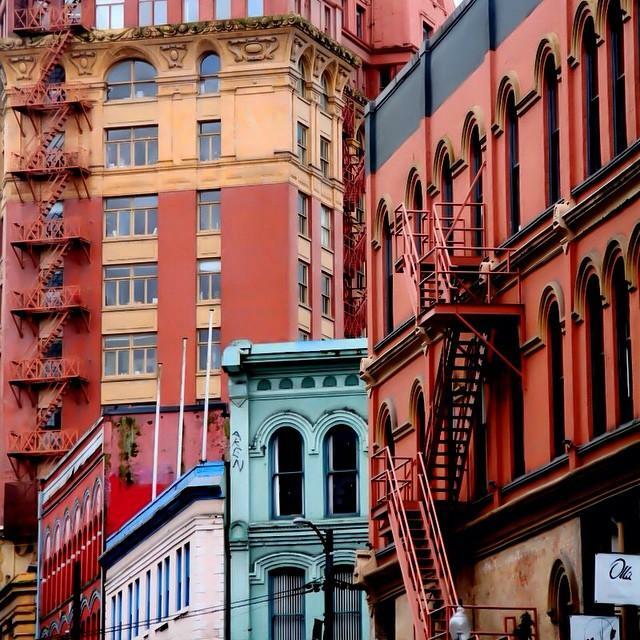 Included is a tour of Victoria’s Chinatown, the oldest one in Canada. Prefer a guided experience? Book a tour with Discover the Pastor Come See Victoria to hear colourful local stories. Discover the Past’s Ghostly Walks is a popular option. To combine walking with food and drink, Off the Eaten Track offers three tours, including a Craft Beer and Culinary Tour. Victoria is home to Canada’s first licensed brewpub, Spinnakers, and the city remains at the forefront of the craft beer movement. The BC Ale Trail highlights four brewpubs along the city’s Beer Mile, among others. A fun alternative is the Victoria Harbour Ferry’s Pickle Pub Crawls, where your ticket includes four trips on the passenger ferries that traverse the Inner Harbour, and free appetizers at some of the city’s favourite pubs. Known as a year-round outdoor adventure mecca, Whistler boasts enough diverse activities—from skiing and snowmobiling in winter, to hiking and ziplining in summer—to keep everyone in your group busy and very, very happy. 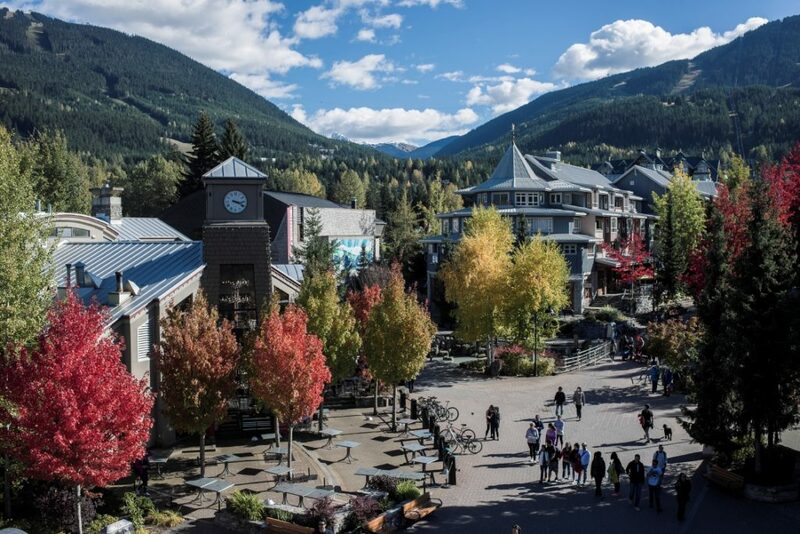 To help you get oriented, the Resort Municipality of Whistler has put together a narrated Self-Guided Village Tour. Once you’re familiar with the layout on the ground, take to the treetops for further exploration. Ziptrek Ecotours offers an educational and scenic walk through the canopy on their TreeTrek Tour. Get up close and personal with old-growth cedar, hemlock, and fir trees as you cross a series of suspension bridges and learn about this delicate ecosystem. End the day on a guided dining tour with Whistler Tasting Tours and see why Whistler is lauded for its culinary scene, as well as its natural beauty. Walking tours are popular in other parts of the province as well, with many focused on art and architecture. The city of Nelson is charming, with more than 350 designated heritage buildings dotting the hillside. A self-guided walking tour takes you past several that were built between 1895 and 1924. 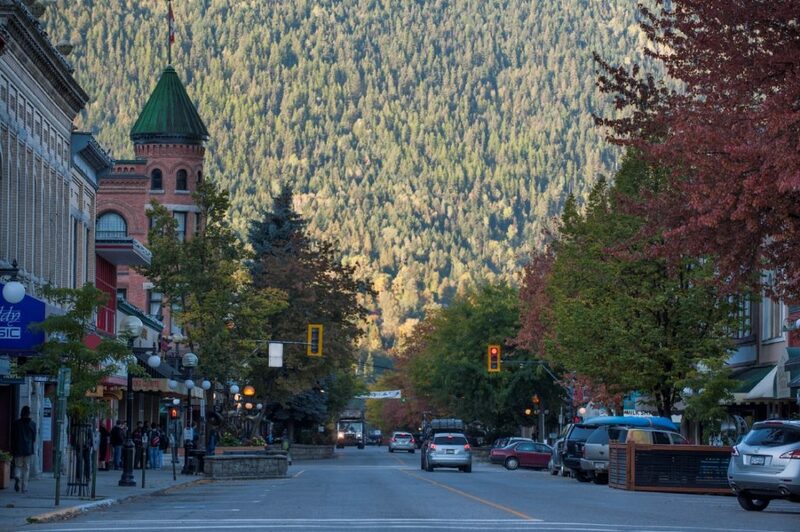 Similarly, the city of Revelstoke has put together a Heritage Walking Tour brochure that details three routes highlighting residential and commercial buildings of historical significance. The Revelstoke Museum and Archives offers guided downtown heritage walks, as well as tours of the Mountain View Cemetery. If visual mediums are more your thing, Kelowna is a community that takes the arts very seriously. Dozens of pieces of public art, from sculptures to murals, are identified in the city’s Guide to Public Art, and a handful of artist studios and galleries can be seen along downtown Kelowna’s Art Crawl. Alternatively, head to Castlegar and follow their extensive Sculpturewalk. In the summer months, several BC communities hold ArtWalks, where pieces by local artists are on display in commercial spaces around town.